Entry: A close working relationship with the owners of the Priory Farm shop near Redhill. Westerham have provided support for Christmas and summer marketing events as well as point of sale items such as gift boxes. In addition the brewery makes regular deliveries of British Bulldog cask beer to the farm shop butchers for incorporating into their prize-winning sausages. Judges Comments: An open and co-operative relationship which is working well to both parties’ mutual benefit. Strong tailored support for farm shop enables both growing sales for shop and brewery’s steady growth and a balanced customer base. Entry: A three tier cellar training course tailored to needs of both brewery and licensee. 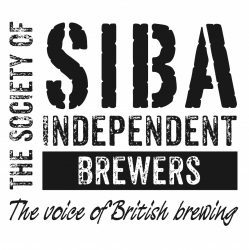 3rd tier of programme exceeds standards of Bii ABCQ award in Beer & Cellar Quality by including information on brewing, advanced beer tasting, marketing and dispense. Overall comprehensive in-house support package of technical and trade quality back-up. 3rd tier qualification entitles ?Master Cellarman? status and delegates have opportunity to design and brew their own beer. Judges Comments: Approach combined classic training elements with activities designed to maximise licensee’s interest in ale and ability to communicate with drinkers. A strong culture of continuous improvement permeated implementation of programme. Case studies demonstrated how training facilitated extending range of ales leading to significant increases in ale sales. Entry: Meantime Brewing Co has created a family of websites to educate the public about the origins and heritage of beer styles which also serves to stimulate export sales. Judges Comments: Well designed and executed using the global reach of the medium. Successfully integrated with other marketing activity including corporate rebranding. Measurement of site traffic shows strong growth in number of website hits. Entry: Multi-purpose building to support enforced brewery relocation which acts as an overall showcase for real ale. Uses include training and courses for publicans and public, brewery tours & real ale venue for special functions. Judges Comments: Care for quality and distinctiveness of Beer Hall reinforces changing perception of local brewing as professional, serious and commercial. Location and co-operation with other village businesses firmly places local brewing at heart of fast growing interest in local produce and craftsmanship. Virtuous circle of reinvestment of revenue stream from Beer Hall into furthering retail opportunities for real ale through investment in dispense equipment in previously keg-only outlets. Entry: Adaptation of a new cask container introduced from outside the brewing industry which has enabled extending the geographical availability of cask ale, increased the number of distribution points and eliminated the seasonal restrictions of supplying ale in traditional 9 gallon firkins without sacrificing product quality. 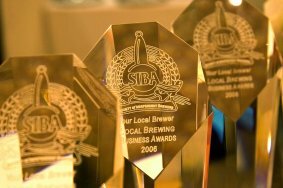 Judges Comments: Resourceful thinking which recognised and addressed customer constraints and has led to impressive business results including doubling of capacity, increased local employment and significant additional customer base in what has traditionally been a restricted market for cask ale drinkers. Entry: Cyclops, an education system, uses simple language and imagery to explain what different real ales should look, smell and taste like. It uses a scale of one to five to measure the sweetness and bitterness of ales to allow drinkers to work out how they like their beers. Promotional material includes beer mats, posters, tasting cards and pump clip crowners to inform consumers of what they are buying. Judges Comments: An outstanding idea which combines simplicity and comprehensive implementation. Industry-wide relevance which Everards have quickly recognized by encouraging others to adopt it with potential benefits for all cask ale brewers and retailers. Entry: A broad brief which incorporated corporate and brand design, considered both design and pack formats and acknowledged industry trends, especially the move to matching beer with food. Entire product range and POS range from pump clips to bottle labels was redesigned to achieve a sharper yet traditional image to enable brewery to compete with national brands on a regional level. Judges Comments: A well-executed, comprehensive and co-ordinated approach. In particular Wye Valley succeeded in achieving the difficult task of contemporising traditional imagery.